A folding chair is a convenient and useful item. 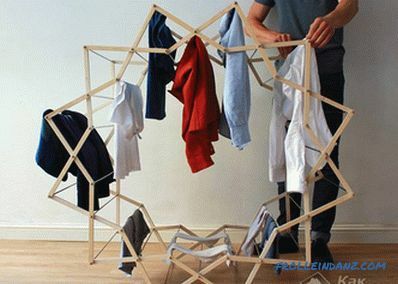 The small size, the ability to easily transport it at the expense of folding design make it a necessary thing. Making such a product is also not so difficult. 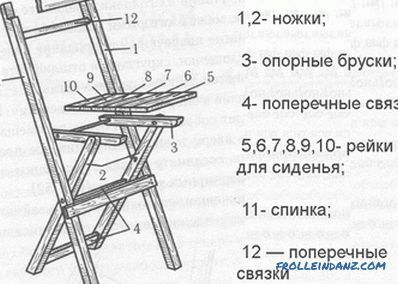 Layout of the folding chair. 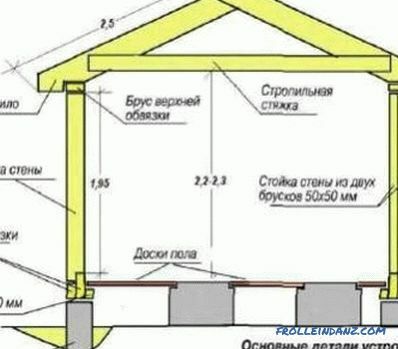 What you need to know about the design? The simplest is the usual design, which is a seat, a small back and legs in the amount of four . You can do without making the back, which will simplify the already simple design. However, this element is part of the comfort for sitting on a chair, so you should decide whether you need such a device or not. Height and weight of a person are of great importance. If the chair with his own hands will be made for the child, then its design should be well cleaned so that the child does not hurt further. In addition, you should select environmentally friendly materials. 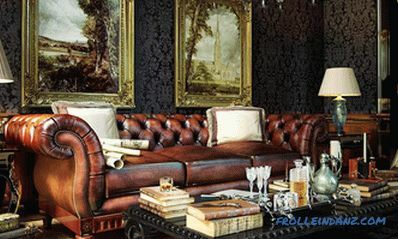 The chair itself will fully support the child, the main thing is to fasten all the details tightly. As for the highchair for an adult, in this case the structure must be strong enough to support the person. 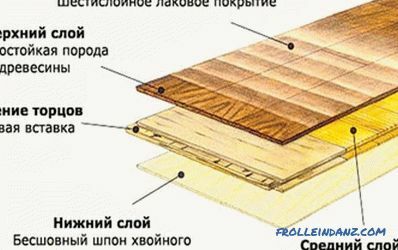 For the same reason, hardwood should be selected; very dense plywood can be used. Figure 1. 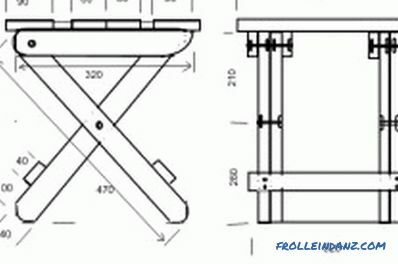 Drawing of a folding chair. It is recommended to take as a basis a person who has an average physique. After that, it remains only to correct the basic design parameters. Nevertheless, the peculiarity of the manufacture of such furniture independently provides an opportunity to make a chair that would suit exactly the manufacturer's complexion. This concerns not only the allowable weight that the chair can withstand with its own hands, but also its height and width. 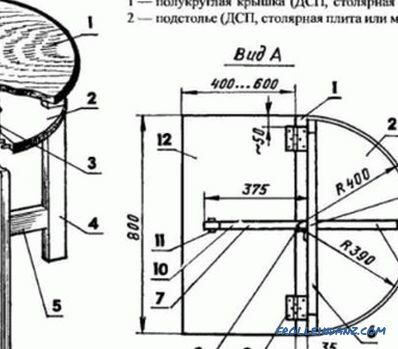 This diagram shows a chair that has classic dimensions (Fig. 1). 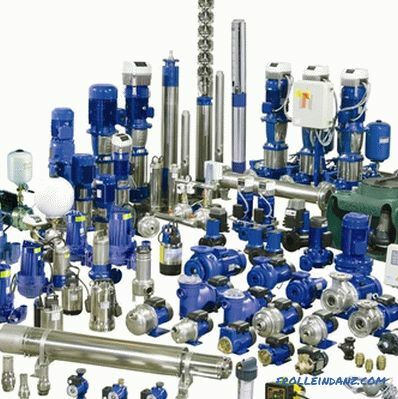 What is needed for manufacturing? 30 screws of 4x15 mm. Door hinges in the amount of 2 pieces, dimensions - 60x20 mm. Bars for legs 4 pieces 100x2,5x4 cm. Bars for frame 4 pieces 40x2,5x4 cm. The panel is made of wood, necessary for the base. Dimensions - 40x50x4 cm. You can further paint the finished high chair with your own hands. In this regard, should be guided by their choice. For a highchair, rainbow colors will work well, for an adult - more acceptable in this case. In addition, it will be enough to cover in this case the product with ordinary varnish, which will be enough. 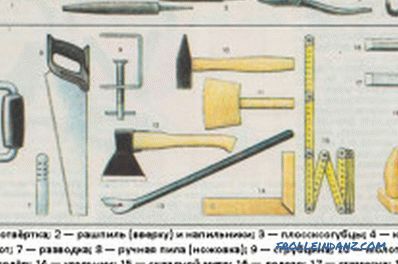 Tools for making a folding chair. The standard design is a portable easel. The basis is represented by two frames, which are used as bars. This allows you to move elements, with the result that the chair can be disassembled and assembled back. The first step is to connect the bars having a length of 100 cm and 40 cm to each other, which will require flat corners and screws. The result is two frames with a size of 40x100 cm. The connection of the short part is carried out using two hinges from the door, which also requires self-tapping screws. It should be noted that the loops should be placed at the same distance from the edge. The result is two folding frames. Next, along the edge of the seat, fix the corners in the bottom. It should be noted that the ears of the corners should look down, while the holes - in the direction of the edges located on the side. After that, you need to fix the seat at a suitable height, which is measured from the floor surface. The seat is fixed in the rear frame, its clearance. In the front lumen you need to position the screws so that a part of them protrudes. If the seat is located 51 cm from the floor, the screws must be placed at 52 cm from the floor. This results from the fact that in the opened position the seat will be based on these elements. Thus, the high chair is ready with your own hands. The only thing that the master needs to do is to process the product. It is necessary to clean the parts of the chair to eliminate irregularities. After that, it is recommended to sand the product and then apply paint on it. If the high chair was made from purchased blanks, then it is necessary to coat the structure with varnish. How to make furniture yourself. What are the materials, and what is their difference? 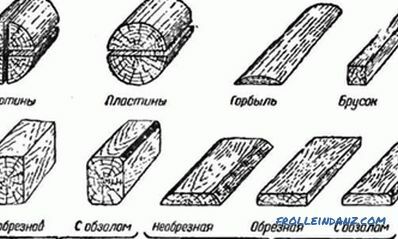 Variants of the drawings, as well as a description of the manufacture of an example.What else do you need to know when deciding to do this kind of work?